Matteo Guendouzi has confirmed on Instagram that he’s arrived in London as Arsenal close in on a double swoop also involving Lucas Torreira. Guendouzi emerged as a shock transfer target over the weekend with widespread reports claiming Arsenal have agreed a deal with Lorient to sign the highly-rated midfielder. The Evening Standard says the 19-year-old will cost around £7m and is set to sign a five-year contract after undergoing his medical today, and Guendouzi has now confirmed his arrival in London. 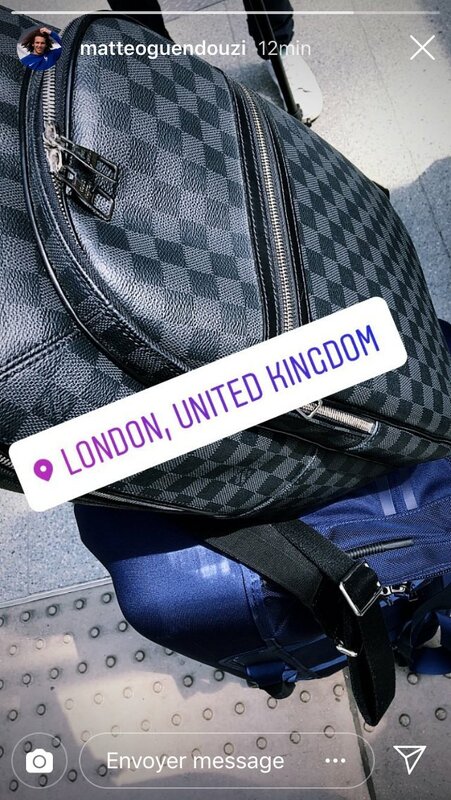 The French U20 international midfielder posted a photo on his Instagram story [shown below] this afternoon of his travel luggage with a location caption saying ‘London, United Kingdom’. 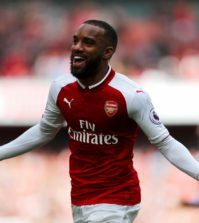 Guendouzi is now expected to head to London Colney to wrap-up his move to Arsenal and he may not be the only new addition in north London today as Torreira is also due in the capital to complete his move. The Evening Standard says the Uruguayan international will have his medical today ahead of a £25m move from Sampdoria after his World Cup adventure came to an end on Friday. 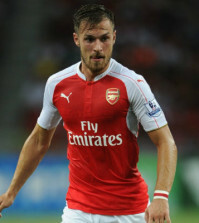 This news is also confirmed by reliable BBC journalist David Ornstein. Torreira has confirmed in various interviews over the past few days that he decided to postpone his medical with Arsenal until after the World Cup and he’s now set to finally complete his move before flying back to South America to enjoy a well-earned break. So it’s going to be a busy 24 hours at London Colney as Arsenal look to wrap-up a £32m double swoop with Guendouzi and Torreira becoming our fourth and fifth new signings of the summer. 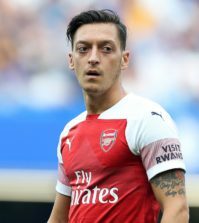 We’ve already snapped-up goalkeeper Bernd Leno, centre-back Sokratis Papastathopoulos and right-back Stephan Lichtsteiner but Unai Emery needed to bolster his midfield options after losing Santi Cazorla and Jack Wilshere. It looks like we’ve acted swiftly to bring in two new midfielders and while Torreira is seen as an immediate first team regular, Guendouzi is more ‘one for the future’.